A very special Georgia woman is celebrating a huge milestone. 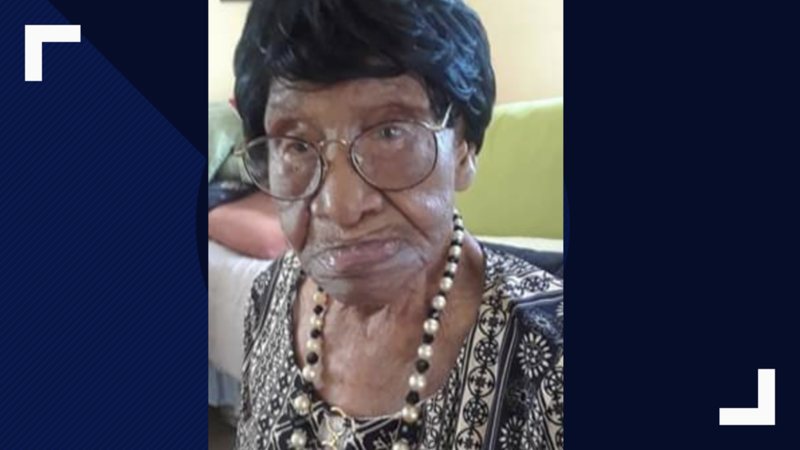 Willie Mae Hardy is turning 111 years young! The granddaughter of a slave, Hardy was born on March 11, 1908 in Junction City, Georgia. A couple of years ago, 11Alive had the chance to talk with Hardy about her life. Hardy moved to Atlanta in the 1930s. Her husband worked for the city's transit system before MARTA even existed. Her granddaughter said this is a historic - and grand - occasion. "She has a lot of stories and historical things that she's shared with us," her granddaughter, Veronica Edwards, said. "Coming through civil rights - she's seen it all." Hardy is also the oldest member of the Butler Street Baptist Church where she has attended for the last 73 years. Though she’s unable to attend church as she once did, she is steadfast and faithful in giving her tithe, offering, and taking of the Holy Communion, her family said. Her favorite TV shows to watch include Tyler Perry’s “Meet the Browns & House of Payne”, and "Andy Griffith”. Her favorite movie of all time is “The Help.” She enjoys listening to gospel music and watching inspirational shows. Hardy's family said she loves "being a devoted mother to her daughter and roommate of over 60 years, Cassie Neil." Hardy has at least seven grandchildren, 10 great-grandchildren, 30 great-great grandchildren, and four great-great-great grandchildren. A birthday celebration was held Saturday at the Zaban Recreation Center in Atlanta. WHERE ATLANTA SPEAKS: Last year, more than 260,000 people wished Ms. Hardy a happy birthday on 11Alive's Facebook page. This year, we're going for even more! Wish her a happy birthday here! Mrs. Willie Mae Hardy was born on March 11, 1908 to Celia Durham in Junction City, Georgia. A small southern rural city located in Talbot County. She is the oldest of sevenchildren; 4 girls and 3 boys, five of which have passed away. Mrs.Hardy’s childhood consisted of her working in the cotton fields, going to school, and church, and looking after her younger siblings. Due to her responsibilities at home Mrs. Hardy had to stop attending school in the 3rd grade to stay home to help her mother raise her younger siblings, which was not uncommon during that time. Despite having a 3rd grade education, Willie MaeHardy learned to both read and write. As a child growing up, she attended church regularly with her mother and siblings and in 1913 at the age of four she was baptized at Pine Level Baptist church. In 1925 she gave birth to her one and only child /daughter, Cassie Neil. As a single mother, seeking for a better life for her and her daughter, Willie Mae, uprooted and moved to Atlanta in 1939. They would call home “Browns Ave”, a street in south Atlanta home for the next eleven years. It would be here that Mrs.Hardy would meet and married the love of her life, Mr. Frank Hardy; he too has passed away. Once Mrs. Hardy relocated to Atlanta she remained true to her spiritual roots and joined Butler Street Baptist church in 1944, under the leadership of the late Rev. Barnett. She has remained a faithful member for over 71 years, and currently is the oldest member of her church. As an active church member, she has served as treasurer, and secretary of the Motherboard, president of the Willing Workers, Missionary board member, and a weekly cook in the church kitchen for a couple of years, when the church sold weekly dinners for fundraisers to help pay for their new church. From 1950 to 1966 Mrs. Hardy and her family would call “Angie Ave”, a street in the old Fourth ward community home. Following the sudden death of her son-in-law to cancer on October 8, 1966 Mrs. Hardy would move from downtown Atlanta to the suburbs of Decatur to help raise her seven grandchildren. Once in Decatur, for the next 48 years, Mrs. Willie Mae Hardy help to raise her seven grandchildren and her next two generations of grandchildren, all while holding down a full-time job as a housekeeper for various families, such as the Talbots, the Croffs and Mr. C. H. Martin. She worked for both the Croffs and Mr. C.H. Martin at the same time. Mrs. Hardy worked as a housekeeper for over 60 years and retired in the mid 1980’s. In addition to working, Mrs. Hardy prepared daily meals for her entire family, which led to the infamous Sunday family dinners at Grandma’s house for all three generations of grandkids to attend. Over the past 76 years in Atlanta, she has worn many hats. Regardless of her age, she remains to be a loving and caring grandmother, our “family backbone,” a dedicated Church member and dear friend. Though she’s unable to attend church as she once did, Mrs. Hardy is steadfast and faithful in giving her tithe, offering, and taking of the Holy Communion. Due to her age, she’s unable to remain true to all her passions: going for walks, working in her yard, gardening and planting her own vegetables, cooking, feeding bread crumbs to the birds, making preserves, and taking care of her porch plants. Her favorite TV shows to watch include Tyler Perry’s “Meet the Browns & House of Payne”, and Andy Griffith”. Her favorite movie of all time is “The Help.” She enjoys listening to gospel music and watching inspirational shows. She has no one favorite color, she likes all pastel colors. Lastly, Ms. Hardy enjoys spending time with family and close friends. She loves being a devoted mother to her daughter and roommate of over 61 years, (Cassie Neil), who is now 92 years old and a loving grandmother; to her seven grandchildren, (two which have preceded her in death), ten great-grandchildren (two of which have preceded her in death) and thirty great-great grandchildren, four great-great, great-grandchildren. 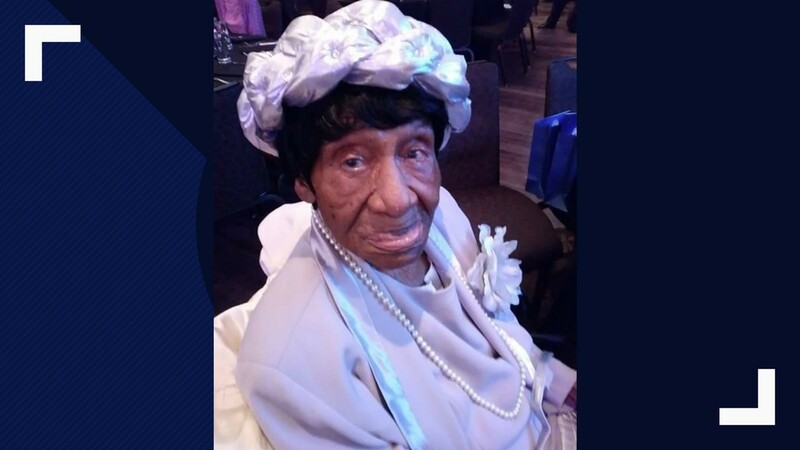 ►This Georgia woman is celebrating her 108th birthday!